As a result of numerous phone calls and help from various community members we have discovered the following history of this mysterious wooden boat. Indications show the Lady Jane was built around the 1950’s-1960’s for use as a fishing vessel. The style of the boat and materials used in her construction were common in this era for fishing boats. Boat design-Wooden Boat-Built heel, carvel planked, displacement hull. Hardwood planked to near waterline, Oregon above. Length-8.3 mts(27ft) Beam-2.9mts(9ft6”) Thanks to our local Shipwright for supplying these details. From 1960’s-1980’s was used as a commercial prawn trawler in the Cooks & Georges Rivers in the Sydney area. In the 1980’s featured in a WIN TV commercial advertising the Illawarra and South Coast with her immerging out of Kiama Harbour into the Ocean. Unfortunately, there is a gap in the history from 1980’s-1992. From 1992-to present day, Lady Jane has had 8 owners or owner groups. Each owner had an interesting story to tell. 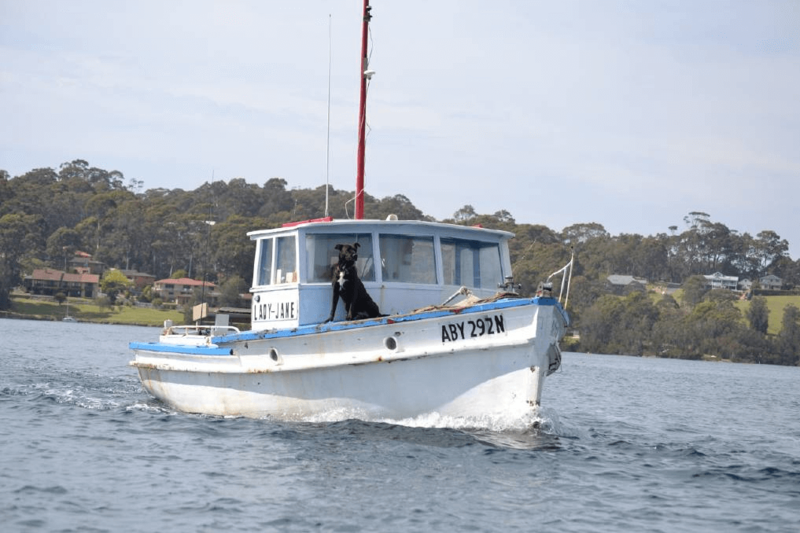 In November 2013 the owner sailed in the Narooma “Boats Afloat “Festival. After this the boat was pulled out of the water and trucked to the Bermagui Industrial area for storage and maintenance. This is where it remains. 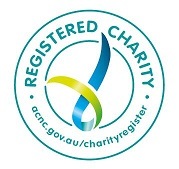 The Lady Jane has not been registered since 2014. Without any identifying marine numbers inscribed in the boat it is difficult to ascertain the exact build date. Plans are still in place to feature Lady Jane in the Four Winds Festival in Bermagui on Good Friday 19th April on Dickinson Oval. 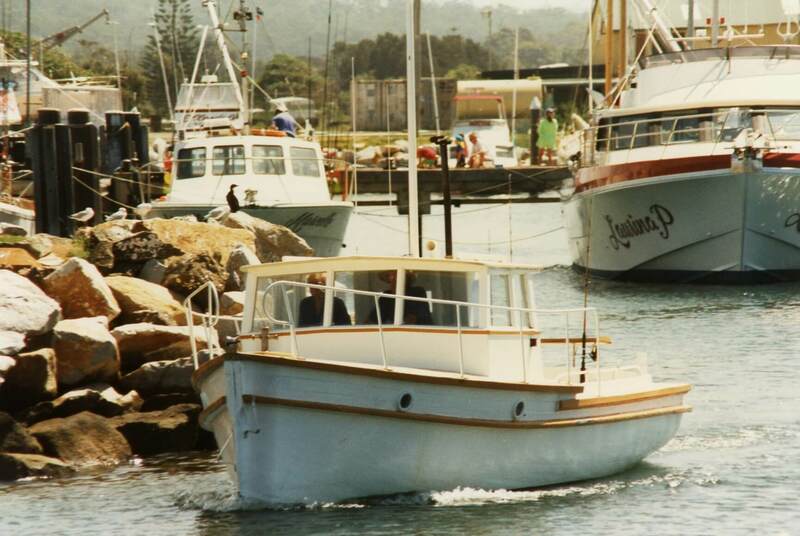 Bermagui Historical Society is still seeking further information surrounding the Lady Jane.